Internet marketing covers a broad spectrum of tasks and jobs including SEO, email promotion, online advertising and so on. The list is quite long, and every part of the entire spectrum is an independent and separate segment of this industry. For example, those who work email promotion are not obligated to know too much about SEO strategies, and an SEO expert does not need to know too much about email promotion. Both work in the same industry, but they cover separate parts that do not interfere with each other. They need different skills and knowledge to operate functionally within their segments in the industry. 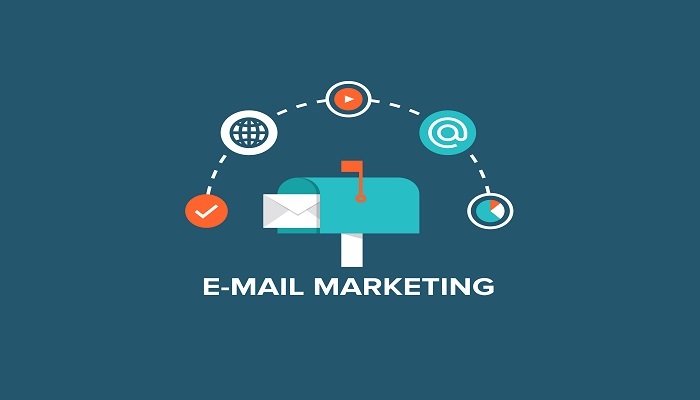 An email marketer usually uses different computer programs to create as good emails as possible that will later be delivered in the best possible way to appropriate address. Big companies typically have large lists of their client’s emails, and they occasionally send different messages to them. The job of an email marketer is to prepare and successfully deliver the message to every email address from the list. However, things on the Internet changes quickly, companies often shut down their domains, and email addresses stay out of the function. To check which of the emails are still working properly, email marketers use bulk email verifier. It is a computer program that can inspect various functions of an email address to check its activity. The program performs various tasks after the request for the verification and can check multiple email address at once. However, there are still some limits. For example, some of those programs can check up to 200 email addresses at the same time, and that is their maximal limit. Others can check less or more depending on the type of software, and they increase the productivity of email marketers because a manual inspection would be almost impossible, especially if there are a large number of email addresses. Bulk Email Verifier Software is capable to finish that task with ease. There are free and paid options depending on the producer. Usually, the premium software is more efficient and can finish larger work for a shorter amount of time. That is probably the most important thing when it comes to the verification. There are companies that have millions of email addresses that have to be checked on a regular basis, and it would be a tremendous work with weak and inefficient software. Quality email verifiers have different options and possibilities. They can identify emails with the spam history removing them from your list. They can find out the location of email addresses, including country, region, town, and zip code. There are also other features that allow faster and more accurate work. Many do not yet realize that an email checker is one the most important tools when it comes to the email marketing. There are traders who buy and sell email list on a regular basis, and this software is the best way to check the validity of emails. Some lists might be completely fake, and potential buyers might protect themselves with this tool. Also, you will avoid all kinds of spam, which is very useful for the lists collected directly from the web. Many bloggers are offering you to subscribe for their news entering your email address. But some users with bad intentions might eventually spam those lists with fake emails and the bloggers have a problem when this happens because their entire lists might be destroyed if too many incorrect emails come in. However, the bulk checker is a solution to the problem. They can separate fake emails from real ones creating valuable lists with accurate details. You can later create a clean CVS or spreadsheet without incorrect email addresses inside of it. That will significantly improve your management capabilities, especially if you have large lists that are often updated with many new email addresses. Some of those checkers work in real-time, blocking all spam and unsafe entries. In fact, it is probably the best option because it will spare you from additional work in the future. Fortunately, online technology advances every day, and online programs are better and better. They are more intuitive and smarter than they were a few years ago. There are many open source programs that can perform this type of work pretty accurately. Free email verification tools are especially useful for those with low budgets. The beginners, for example, might start working with one of those free of charge. And that can help them to develop their businesses and skills into something bigger and more profitable. One of those tools is Leopathu – Bulk Email Verification, where you can check your lists for free. Still, the interface of this checker is not perfect and requires some manual work, but the entire process is simple and straightforward. You do not have to download any files, and the whole work can be done online. Just find the homepage of the tool’s website, and you are ready to go. You can perform the work as an anonym user, and you do not even have to sign up. There is a form on the homepage, where you can upload your lists, and the online software will do the rest. You can also find other similar free tools. You just have to enter your queries in the Google search bar, and you will be on your way. Still, the paid ones have higher capacities and better features, but the choice is only yours. So it is not hard to conclude that quality is the most important thing that is usually decisive while choosing the right software for the business. As always, some products are better with more powerful features, while others might fall to perform the work efficiently which is the reason for the rejection. Zerobounce is definitely regarded as the best bulk verifier by the internet marketing community and other experts who are involved in this work. It has various features, such as a selectable download option and email typo correction among many others. The software’s accuracy is on the highest level, it goes over 98%, which is a really great result. You can try it for free to see if it fits for your needs. If you used other checkers in the past, you will certainly be amazed by the work of Zerobounce. It definitely outperforms all other verification tools, and you should use it too. Bulk Email Checker – Bulk Email Verifier Software Copyright © 2019.